The odd tradition here at NUHS. FFA week is an annual tradition here at NUHS. Peanut day is always on the Thursday of FFA week. Peanut day was on February 21st. It is an event where all agriculture classes watch educational peanut videos, do peanut trivia, and “crack” some peanut jokes. The teachers bring in boxes of peanuts and students chow down while learning about them. There is also a biggest nut contest. When students find a large peanut, the teacher weighs it and at the end of the day the biggest nut wins a prize. Peanut days “roots” come from an exchange program with a school in Georgia in the 1940’s. 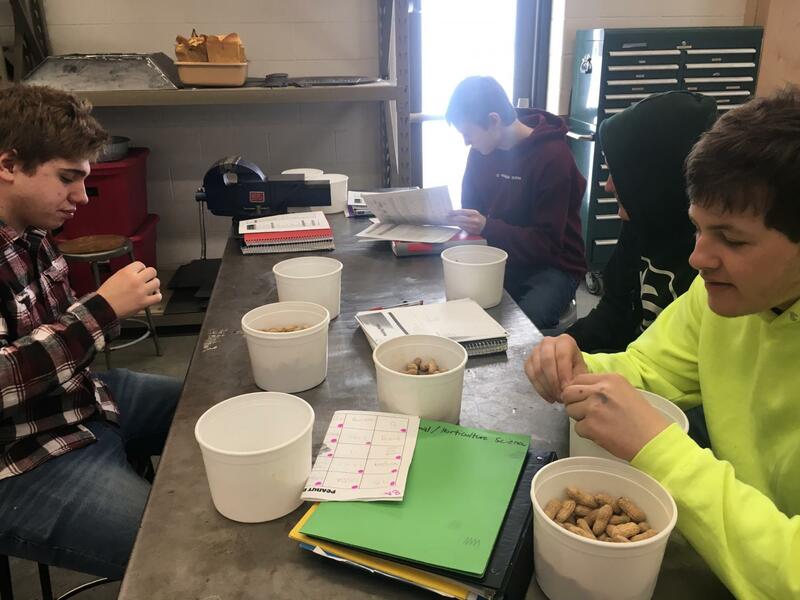 Some FFA students from New Ulm would go to the school in Georgia to learn about their agricultural practices which largely involves peanuts. Also, a group of students from Georgia would come to our school to learn about farming in our region and dairy. The program ended because there wasn’t enough interest. After the exchange program ended, the school created peanut day to commemorate the collaboration between the schools to educate each other. 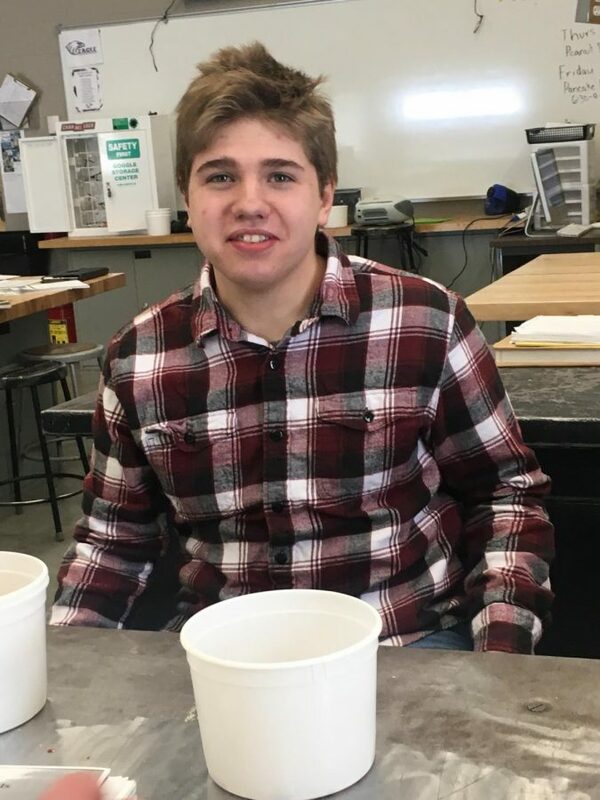 Senior Big Jake Sellner enjoying peanut day.